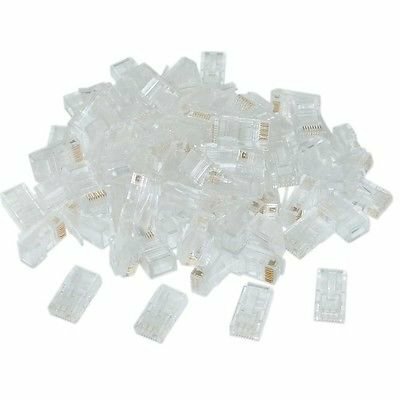 Use this 100 pack of RJ-45 Connectors to create cables for your home or office. These heads are ready to go and require minimal effort to crimp your Ethernet network cables. If you like doing things yourself, Ethernet cables should be no exception. 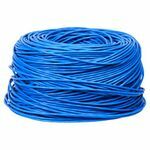 Ethernet cables that come in long lengths, in hundreds of feet, may not have connectors, so you will need these to attach yourself. However, even if you have shorter cables, you may want to cut it down to a more usable size to eliminate excess cable, using these connectors to terminate the newly cut cable. 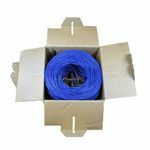 With the 100 pack, you will have plenty of connectors to use in newly-created Ethernet cables.